This a photo I took when I was making a salad. 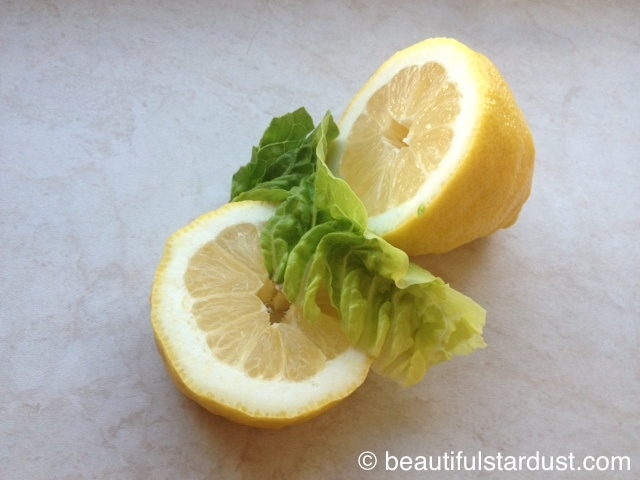 I thought the yellow in the lemon and the green in the lettuce would make a really good color combination on a picture. I am quite happy with this picture, what do you think? 1. Cut the cucumber into thin, thin slices. Choose yourself how much cucumber you want. 2. Cut each sugar pea into small pieces, but cut off the end of both sides. You choose yourself how much sugar peas you want. 3. Cut up some lettuce leaves and put into the bowl. 4. Drip some lemon over the salad. 5. Finish it all up with a little pinch of sugar and mix the salad.